The all-new Ford 2018 Ford EcoSport has been designed with several innovative features that can make your commute time more enjoyable and productive.This new Ford subcompact SUVoffers enhanced connectivity with an embedded 4G LTE modem with Wi-Fi hotspot that enables up to 10 devices to be connected at once and provides a range of up to 50 feet outside the vehicle. EcoSport is also equipped with Ford’s SYNC® 3 touch screen and is SYNC AppLink™ ready with voice-recognition communications and entertainment options. These features allow EcoSport drivers easy access to navigation, inbound and outbound calls, messaging and access to variety of streaming music, podcasts and video options. 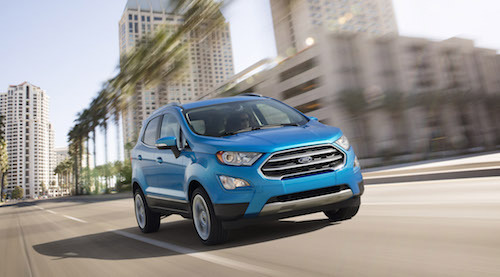 The EcoSport is also one of Ford’s most versatile models. 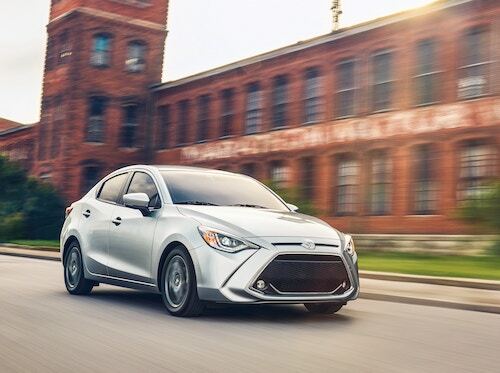 It has Intelligent Four-Wheel Drive for off-road adventures and is powered by an award-winning 1.0-liter EcoBoost® engine for superior performance. With a removable floor board and fold-away second-row seats, the EcoSport provides a flat area to safely haul objects of all shapes and sizes. Its comfortable cabin has been well designed to best use space for storage with up to 30 stowage pockets, bins and hooks. Our Ford Dealership near Palm Springs, CA has the new 2018 Ford EcoSport in stock now. We invite you to stop by and see all this new model has to offer.